Breakout Coin, an unprecedented new gaming ‘multicurrency’, finished its successful 851 BTC crowdsale on July 7. Enthusiasts worldwide can now trade BRK on the reputable cryptocurrency exchange Bittrex. Breakout Coin will now launch theirsecond crowdfund campaign for Breakout Stake (BRX) on the same exchange at 5:00 pm PDT, today Sunday July 10. July 10, 2016 Los Angeles, CA – Breakout Coin, a new unprecedented ‘multicurrency’ gaming token begins its second crowdfund today on July 10 at 5:00 pm. The crowdfund will be hosted by the reputable cryptocurrency exchange Bittrex with 6.6M Breakout Stake (BRX) being available at a price of 1,500/BTC. An early buyer incentive bonus of 10% will last for the first 3 hours of the crowdfund sale. The crowdfund will end at 8:00 pm PDT on Sunday, July 24, 2016. Any unsold BRX will be provably destroyed by Bittrex prior to BRX being added to their exchange for trading shortly after the end of the sale. Breakout Coin ended its first public crowdsale on July 7, collecting a total of 851 BTC which equals approximately $560,000. A total of 4,357,800 BRK were distributed, with a further 2,269,694 burned and permanently removed from the market. With the crowdsale complete, Breakout Coin (BRK) is now trading on Bittrex, one of the largest and most reputable cryptocurrency exchanges in the world. The Breakout Coin and Breakout Stake are part of the Breakout Chain blockchain for gaming, created by a diverse team consisting of gaming and cryptocurrency experts, including lead developer James Stroud, PhD., a co-founder of CryptoCertify, the first cryptocurrency auditing and certification company; Paul Kim, with 25 years of experience in IT, computer science, and gaming; Randy Kim, a professional poker player with 20 years’ experience in Los Angeles casino management, and Gian Perroni, an iGaming executive with more than 18 years of online gaming experience. 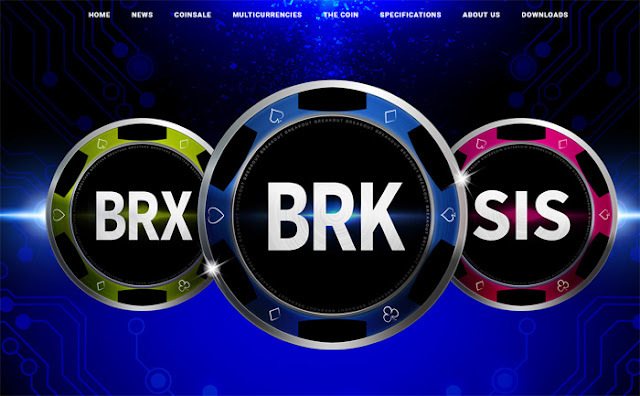 For more information about the BRK crowdsale, please visit:www.breakoutcoin.com/coinsale. Breakout Coin is the source of this content. Virtual currency is not legal tender, is not backed by the government, and accounts and value balances are not subject to FDIC and other consumer protections. This press release is for informational purposes only.